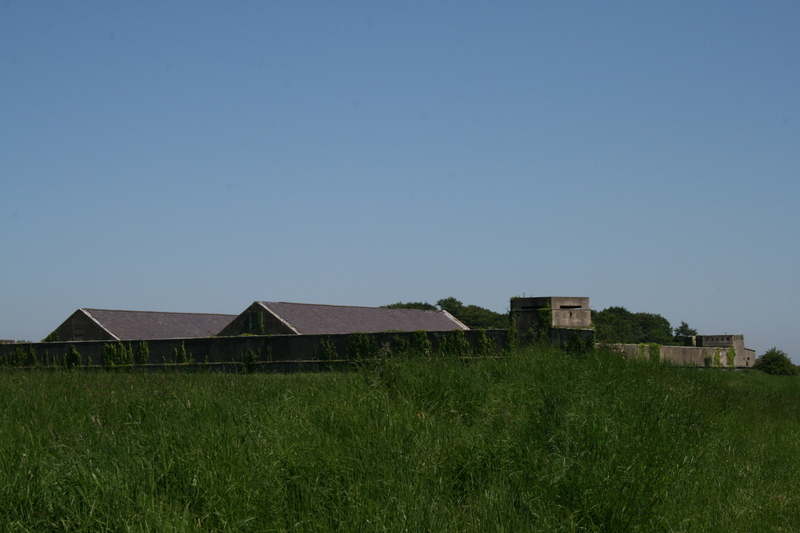 At 12 o’clock on Easter Monday, April 24th 1916, a group of mostly Fianna members took part in a raid on the Magazine Fort in the Phoenix Park. They were successful in their attempt to blow up the explosives and ammunition store. Included in this mission were Paddy Daly, Eamon and Christopher Martin, Garry and Paddy Holahan, Tim Roche, Sean Ford, Barney Mellows and Paddy Boland. “This operation was to have been under taken by an all-Fianna unit, but owing to McNeill’s countermanding of the manoeuvres for Easter Sunday and the chaos which followed, it was impossible to get definite instructions to the unit until later in the evening, after the final decision to proceed with the Rising had been made. Connolly told myself, and his daughter Nora, around three o’clock, that the Rising would take place the next day and that the Magazine job was to be timed for twelve noon. I issued mobilisation orders to be delivered to the homes of the lads. By this time, however, as we only learned later, many of them, presuming everything was cancelled, had gone hiking or to camps. As a result, we were short of our full complement by zero mobilisation hour on Monday morning. The mobilisation centre was the home of Garry Holohan off Summerhill. I immediately went to Connolly and Pearse at Liberty Hall taking Garry Holohan and his brother Paddy with me. 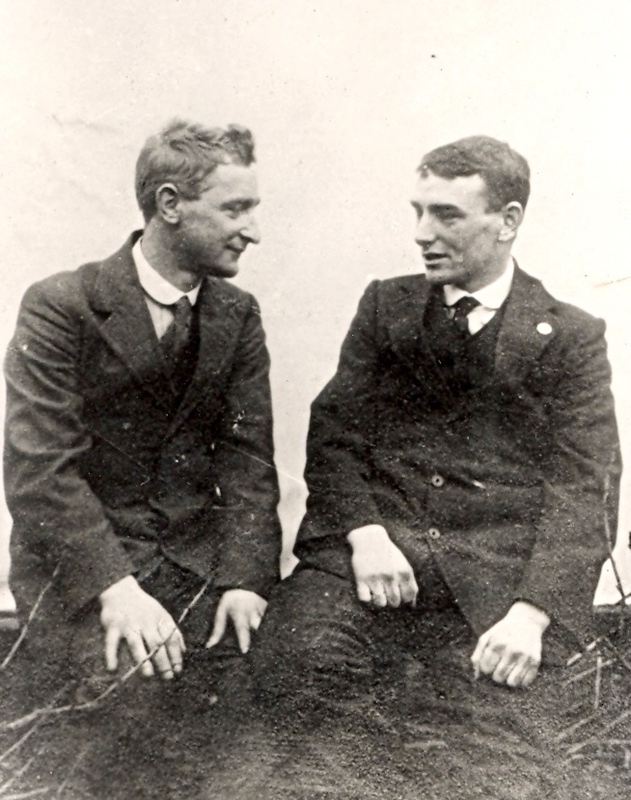 There I got signed orders from Pearse directed to the various Battalion Commanders, who were already mustering their men in their respective areas, to let me have some men if they could spare them. These orders were delivered by Garry Holohan to Eamon Ceannt at the South Dublin Union and by Paddy Holohan to another Battalion, and by myself to Blackhall Place, where I saw Frank Fahy, and we each brought back with us two or three men. Having mustered the unit, we proceeded to the Phoenix Park, calling in at Whelans on Ormond Quay on the way to purchase a football. Owing to the delay caused in collecting the extra men, time was now running against us. While I was the senior Fianna Officer and in command of the men, I was not in charge of the operations for the attack on the Fort. There were good reasons for this. Firstly, the procedure which had become customary, that when operating in conjunction with the Volunteers, a Fianna unit, irrespective of the rank of its officer, became subordinate to the Volunteer officer, and Paddy Daly, who had been assigned to this operation, was at this time, a Volunteer Officer. He was, at this period, working as a tradesman in the Magazine Fort, and had made a study of it, and I believe the idea of attacking the Fort originated with him. He had made a sketch of the lay-out of the buildings and had drawn up the plan of attack. That he should be placed in charge of the operations was, therefore, both logical and wise, and there was never a thought on the Fianna’s part of questioning that decision. Paddy Daly will, I am sure, testify that he received wholehearted co-operation and submission from Fiannaidhe of all ranks who took part in this operation. We arrived at the outside of the Fort, pretending to be a Football Team, and by passing the ball from one to the other got near enough to the outside sentry to rush and disarm him, while the remainder of the unit doubled into the Fort with pistols and revolvers drawn. The Guard Room was rushed, the soldiers there were covered and their rifles, which were stacked, were collected. The wife and children of the Officer Commanding were brought to the Guard Room, as was also the balustrade sentry, who had been wounded during a scuffle to disarm him. During this time the storekeeper and keys had been located, the store-rooms and vaults opened, and the men assigned to the job set about laying the mines. When everything was set for firing, Mrs. Playfair and her children were allowed to leave and the soldiers were informed that they could leave immediately after the last of our men and to be sure and take care of their wounded comrade. I learned later that this man died of his wound, which had not been attended to in time. Various accounts have been written referring to the “partial success” of this operation. I wish to place on record that there was no failure on the part of the attacking unit. That the Fort was not “blown up” was due to the fact that it did not contain any high explosives as was anticipated obviously these had been removed by the British Army Authorities who presumably required all their supplies for the European War. All that the Fort contained was a small supply of rifles and ammunition in boxes. When we were satisfied that everything had been taken care of the fuses were fired and when well under way the last of our party left the Fort. A horse-drawn hackney car had been engaged by one of our party, and held in readiness. The four or five men – the last to leave the Fort, mounted this car and drove out from Island Bridge gate. We were out on the main road before we heard the first of the dull explosions which destroyed the firearms and ammunition. Coming out on to the road we noticed Mrs. Playfair’s son running towards a house on, the curve of Island Bridge and Conyngham Road, which we knew to be the home of the Officer Commanding Island Bridge Barracks, and which we also knew had a telephone – Frank Fahy lived next door. As we had yet to make our way back to the city, and realising, as already mentioned that we were behind time, that the insurrection would have already begun, we could not afford to take any chances with this boy. Accordingly, one of our party, who was cycling alongside our hackney car, speeded up and shot to wound the boy, just as he was entering the door of this house. The boy died of this wound. We continued our journey back to the city via Kingsbridge, where the British soldiers were already taking up their positions. They fired at us from the Esplanade, but fortunately, we escaped injury though having to run the gauntlet passing the Barrack Gate and through Benburb Street. Approximately 17 Fianna boys and Irish Volunteers took part. Only 11 signed the Magazine Fort Garrison ‘Roll of Honour’ but there were several reasons for this; some had died, some signed the “Four Courts” list and some refused to sign it. * The ‘boy’ who was shot was in fact Mrs. Playfair’s twenty three year old son George Playfair. The name of the sentry who was shot and later died of his wounds is unknown. This entry was posted on Friday, April 3rd, 2015 at 10:16 pm	and posted in Fianna articles archives. You can follow any responses to this entry through the RSS 2.0 feed. Great account of the raid on the Magazine Fort. Thank you. Ciarán Holahan. What relation was Christopher Martin to Eamon Martin ?